A regenerating and highly nourishing mask to renew and energize the skin from the inside, for more visibly radiant skin on the outside. 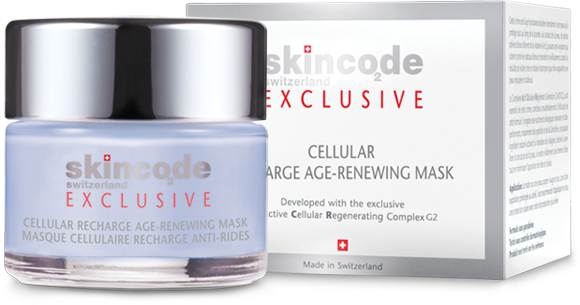 The unique combination of ingredients helps to ‘wake-up’ the important regenerating cells within the skin. The highly concentrated cream can be used as a regular mask, or in combination with a special self-massage technique for a more intensive treatment. Active ingredients: ACR Complex G2, Albizia julibrissin bark extract, Shea butter, Multi-mineral energizer complex, Jojoba seed oil. Application: Once or twice a week apply a generous layer on perfectly cleansed skin and leave for 10-15 minutes. Rinse off any excess with lukewarm water. For additional benefits, we recommend the mask is applied to the face and massaged using the technique described in the leaflet, leaving the mask to be absorbed by the skin.